Have you ever eaten a mushroom? Did you know a mushroom is a fungus? Researchers are studying the effects of fungus on humans living in space. Read on to find out more about Fungus Among Us. Scientists have recently finished a study showing the effects of fungi on humans living in a closed environment. They used the Inflatable Lunar/Mars Analog Habitat to conduct their research. This habitat simulates a closed environment like that found on the International Space station. Knowing that fungal species exist in and on the human body researchers looked to study their presence in space. 2 Where Do Fungi Live? The human body lives with fungal species and bacteria. When one of these gets knocked out, it can cause an illness. If they live side by side and remain undisturbed, the fungal inhabitants remain harmless and at times beneficial. While humans lived inside the ILMAH, researchers found an increase in certain kinds of fungi. The stress of staying indoors for long periods of time may lead to a decrease in immunity. Problems may arise from becoming vulnerable to certain fungi that cause allergies, asthma, and skin infections. Fungi can survive harsh conditions like deserts, caves, and old nuclear accident sites. They are often difficult to remove from certain environments including indoor and closed spaces. 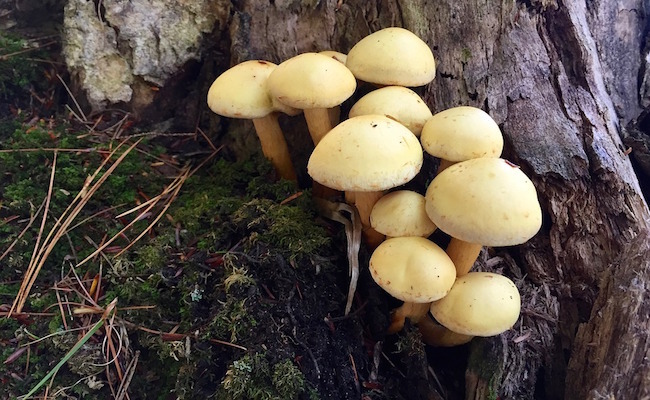 Understanding possible changes and survival of fungal species in the ILMAH becomes necessary due to the possible dangerous conditions it may present. Researchers would like to develop countermeasures to maintain healthy habitats in the ISS and ILMAH. These measures would potentially help humans from getting very sick. Scientists placed three crew members inside the ILMAH for 30 days. During that time, the crew members cleaned their areas, and collected samples. Samples included those taken just before entering, day 13,20 and 30. What they found showed a diversity in the mycobiome. Fungal populations changed during the experiment. Although the crew cleaned with antibacterial wipes, researchers still located a common outdoor fungus. This fungus could cause problems in a weakened immune system. The results of the study revealed that the overall fungal diversity in the closed habitat changed during human presence. If scientists plan on creating closed environments for people to live longterm on another planet, this information would be critical. How would they keep infections minimized when fungi can withstand extremes? How many types of fungi would infect the whole system if left unchecked. Researchers must answer these questions prior to sending large groups of people into a closed colony. The results of something bad infecting the whole population could possibly result in devastation. More research and studies will need to happen to find a successful environment for long term closed living. New discoveries and information may also help doctors and hospitals. We will keep watch on this ongoing study and wait for good news to come from fungi researchers.